So far adminci has created 110 blog entries. 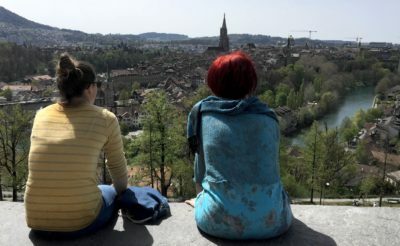 High above the old city of Berne, on the other side of the Aare river you will find a beautiful park called Rose Garden. 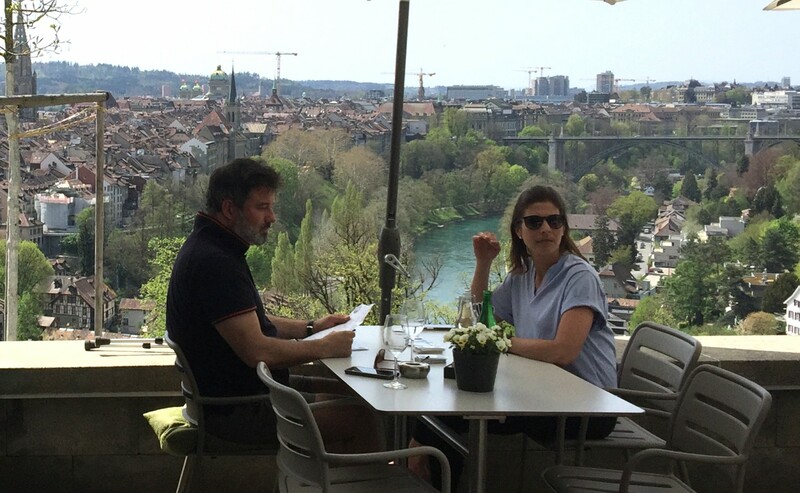 The restaurant with the same name offers a magnificent view of the old city of Bern. Over the Easter holidays the weather was great and the park was packed with people enjoying the warmth and the view. The rose garden park is public and free. A big playground for kids is also on the grounds. At the moment spring is reflected in big garden beds of daffodils lighten up the park. In summer those beds will be full of roses. Spring is at hand, but not quite here yet. The trees are still bare but the first buds are already visible. Snow bells are fully out heralding that the winter is soon gone. Snow can still fall even in the lowlands but it won’t stay anymore. Soon nature awakens fully from its winter sleep and starts blossoming with incredible energy. Spring will bring such a tremendous swirl of colours and fragrances making many hearts happy. 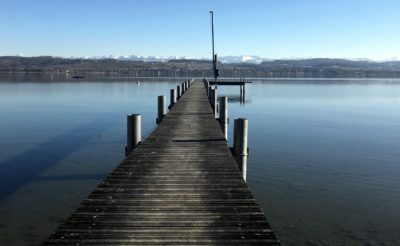 In February the water of lake Murten is very clear and cold, as is the air. 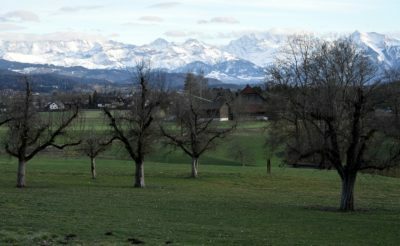 The snow mountains (the alps) are often visible with the famous three peaks of Eiger, Mönch and Jungfrau (all over 4000m high). The lake itself is beautiful in all seasons. It is only 8km long but reaches across language and culture boundaries: Swiss German to French speaking. 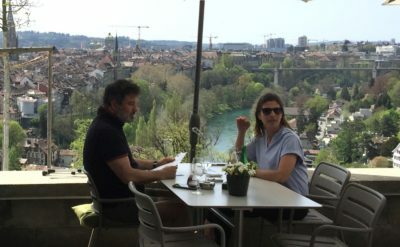 There are three lakes in this area that are all connected through a canal system: lake of Neuchâtel, lake of Murten and lake of Biel. The tree lakes area is great for outings, exploring and in the right season for water sports as well. 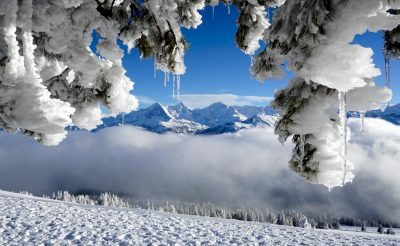 In winter it is a great pleasure to go up on a snow mountain and look down into the valleys filled with fog. The view of the mountain scenery on eye level is also exhilarating. Recently we took a wonderful group from China up to the Niederhorn. This mountain rises up to 1950m above lake Thun. To get to the top one can take a cable car starting from the lake Thun level at Beatenbucht. The other option is to drive up to the village of Beatenberg (1200m) and take the cable car from the village to the very top. 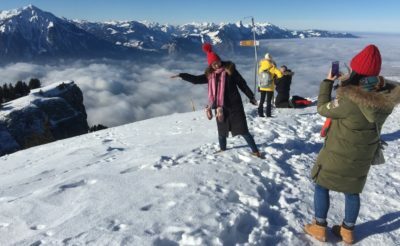 Even in winter the Niederhorn is a trip worth. You can learn how to ski, or rent a sledge or even join a tandem paraglider down into the valley. In Switzerland this January we have had a lot of snow. Especially in the eastern parts and far into Austria there has been abundant snow. The ski resorts are thrilled about the great weather conditions. Skiing and snowboarding are still very popular. It’s just wonderful to go up on a mountain peak while often down below there is a layer of fog. All the snow has also its downsides. The cities and villages put a lot of work into clearing the road system from snow so that the traffic isn’t hindered too much. Depending on the weather conditions there are also more road accidents happening and sometimes delays are inevitable. 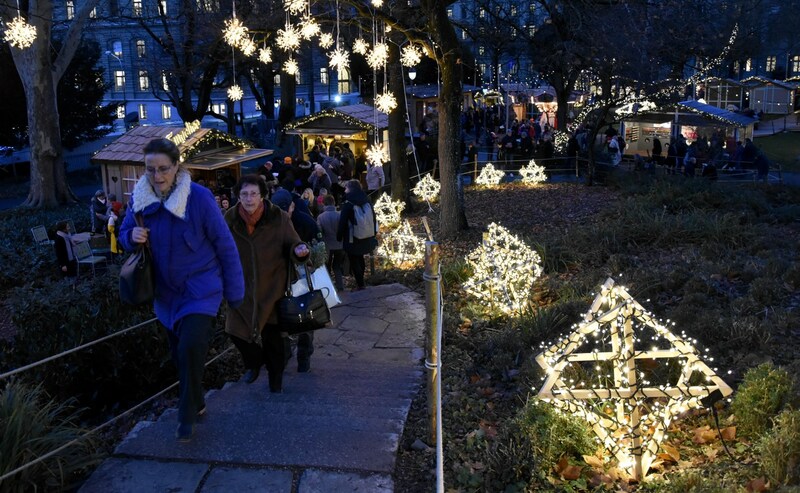 Christmas markets are hugely popular in Europe! Some are really famous but most have become commercialised and lost authenticity. 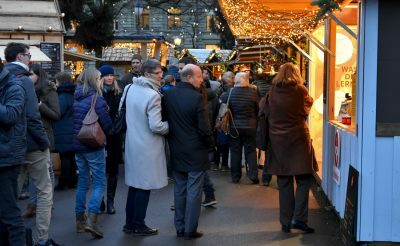 For years in Bern we have already had two Christmas markets. This year a third was opened that everybody raves about. This new Christmas Market is also very central and in a park next to the houses of parliament. It is really beautiful and has a much more authentic feel. The stalls are set up for about three weeks before Christmas. But they are beautiful and lovingly designed. There are lot’s of food opportunities but also sweets and many possible Christmas gifts available. A lot of atmosphere pervades this newly created but temporary space well worth checking out. Now in December outside it’s often really cold. But inside our homes it is warm and beautiful. Typical Christmas cookies are baked. And the kids are getting excited for Christmas when finally they get their long anticipated gifts. 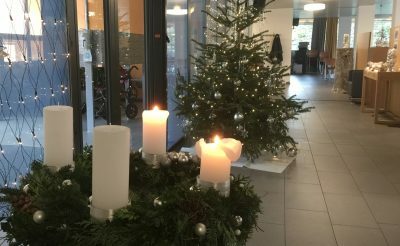 In Switzerland and Germany the four weeks leading up to Christmas are called Advent (latin: arrival – celebrating the arrival or birth of Jesus Christ). On the first Sunday of Advent (either end of November or beginning of December) a first candle is lit on an advent wreath. By then the house also gets decorated for Christmas. On each consecutive Sunday another candle is lit. When the fourth candle is lit Christmas is just around the corner. The Romans had already settled in the village of Zillis. The first village church dates back to about the 6th century. 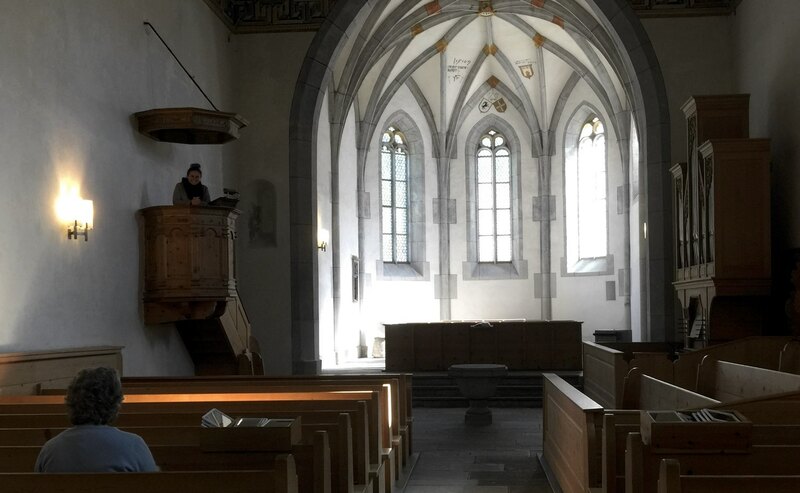 The church at the mouth of the forbidding Viamala gorge (Canton of Graubünden) was there to provide spiritual and physical relief for the brave travellers daring to cross the alps. 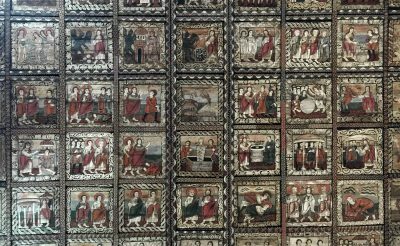 The ceiling of the church was painted between 1109 to 1114 and consist of 153 wooden panels. An unknown artist painted the panels with a very interesting Christian perspective of the world. The panels are still vibrant with colours and interesting motifs. Basically the gospel is presented such as the birth of Christ, his temptation, his baptism, his life and his death on the cross. However there is no hint of his resurrection. If ever we have a chance we would love to explain to you some of stories of panels above. The village of Davos (on 1560m) is famous for it’s yearly event of the WEF. That is when the heads of many countries flock together for their summit. Davos is then turned into a fortress. The village itself isn’t exactly a beauty. But the area around Davos is famous for it’s many skiing tracks in winter and hiking trails for the other seasons. There are several valleys branching off from Davos. One of the nicest and quite undiscovered is the Dischma valley. 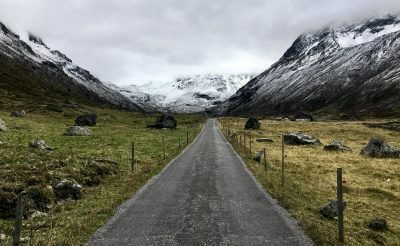 By public bus or with your own car you can make it to the bottom of the valley and then hike further up or even hike back down to Davos. As you enjoy the view the only sound you hear is that of rushing water from the creek and occasionally the shout of bird of prey or the whistle of a marmot. 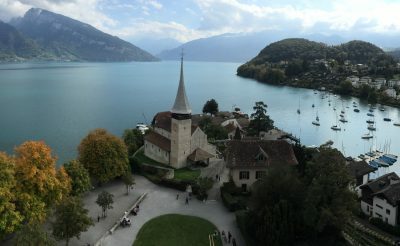 The village of Spiez is embedded in a bay on lake Thun. The castle is big and dates back to the 10th century. From the top of the castle (see picture) the view is of the 1000 years old church down below, the small harbour and across the lake. The castle itself houses one of the most beautiful castle museums of Switzerland. It documents the change from a medieval life style to a patrician one. Spiez produces a nice vine. The vineyard rises up on a hill close to the castle and adds color, especially in autumn! The restaurant down at the pier has nice fish and other foods too. Many like to stroll along the lake and then board a boat taking them across the lake.